The Kids Collective aim is to enrich children’s leisure time. 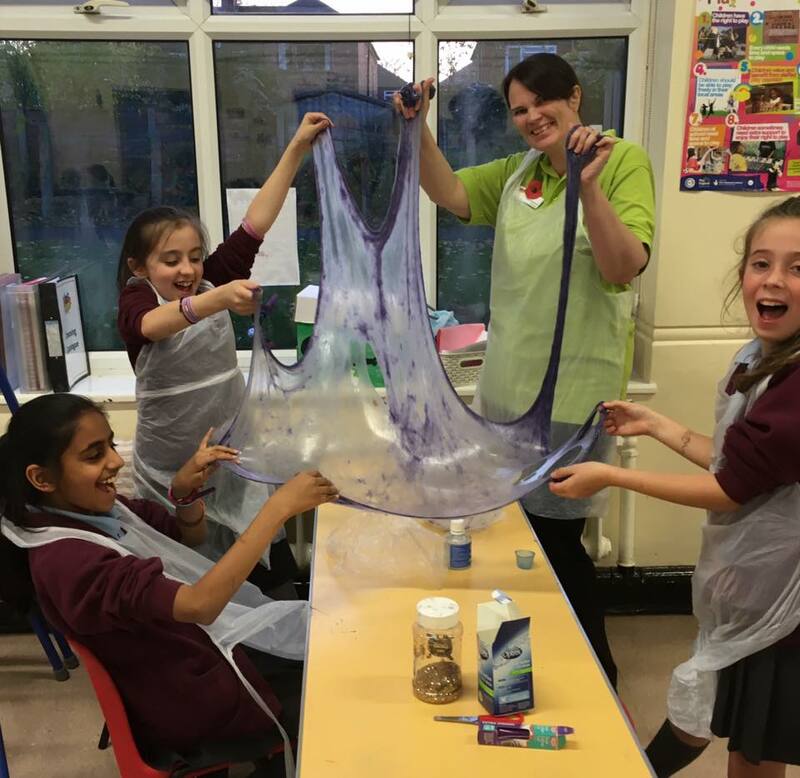 Before and after school, and during school holidays, we provide an excellent range of activities, offering diverse opportunities for having fun. 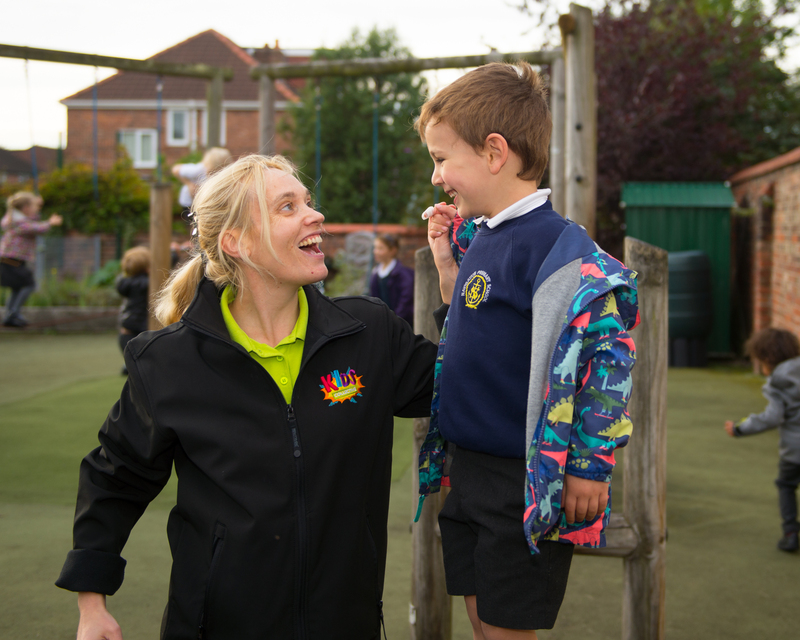 For children up to the end of Reception year, we offer a continuation of the statutory EYFS (Early Years Foundation Stage) framework and link with our host schools to ensure continuity of child care, development and assessment. 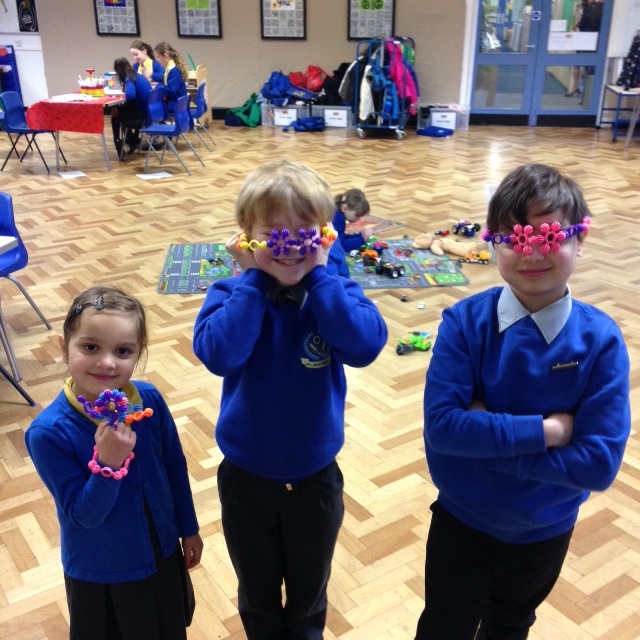 More information about the EYFS can be found on the Foundation Years website. 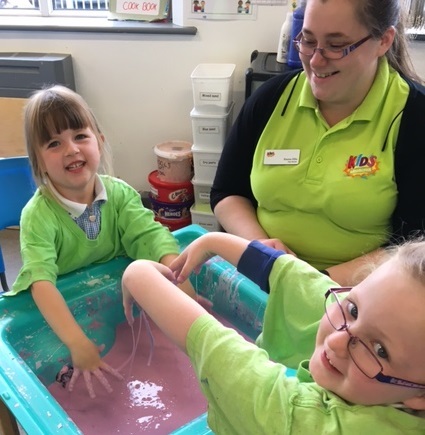 Activities are well-planned and resourced and they offer children the chance to join in a full range of activities including art and crafts, music, dance, sport, cookery and extensive IT provision. 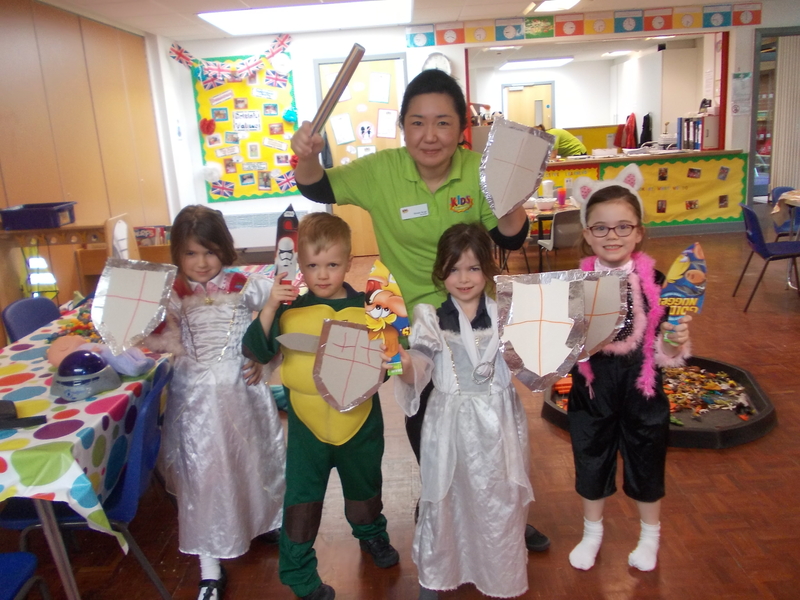 During term-time, we run weekly workshops, such as: cookery, music and movement. External specialists are invited to run one-off workshops, such as: Mad Science Workshops, Yoga, First Aid Workshops, Kiddy Cook cookery workshops or Animal Wildlife Roadshows. During the holidays, each week is packed with a variety of activities, specialist optional workshops, such as: archery, circus skills and optional trips. Kiddy Cook: A 1-hour workshop with Nikki from Kiddy Cook, where children have a go at making pizza, dough balls and garlic butter. 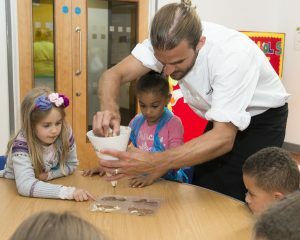 Chocolate Workshop: This chocolate workshop ran by ‘Oliver’s Chocolate Parties’ gives children the opportunity to learn about where chocolate comes from, how it is made and make their very own chocolate to take home. Yoga Workshop: Children can take part in our yoga workshop led by ‘Studio One Yoga’, where they learn breathing techniques, stretches and poses. Dance Workshop: A 1-hour dance workshop ran by ‘Stalder Dance Academy’, where the children are taught a variety of dance moves and they can put together a short dance routine using the skills they have learnt. 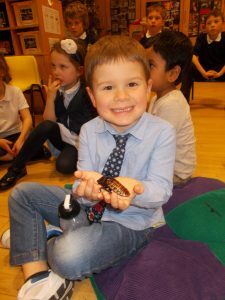 Zoolab: During the session, the children are given the opportunity to handle a variety of wild and wonderful creatures and discuss each creature’s natural habitat, diet and interesting facts. First Aid Workshop: A workshop held by St John’s Ambulance where children can learn basic first aid skills. Tennis Workshop: A fun workshop ran by ‘Shooting Stars’. Children will learn basic racket techniques and ball skills whilst promoting team building. Fire Service Visit: A chance for the children to understand and learn about safety and potential fire hazards whist exploring the fire engine itself. Manchester Storm: The children learn the skills and techniques involved in ice hockey with the coaches and players from ‘Manchester Storm’. The children will have the opportunity to put these skills into practice at the end of the session in a mini-hockey match. 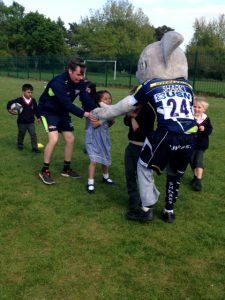 Sale Sharks: A tag rugby session ran by the coaches and players from ‘Sale Sharks’, where the children learn the skills and techniques that are required in a game of rugby. Kids Collective @ APS is situated in the Art Room, Green Room and Dining Room of the Highbury Road site, with access to the playground. Afternoon Tea is provided during term time. Kids Collective @ Bollin is situated in the Community Room and has access to the playground and kitchen facilities, which are used for cooking activities and allow us to provide meals. Breakfast Club from 7:45am – School opens. Kids Collective @ Bowdon CS is situated in a number of self-contained classrooms opening onto the playground. Kitchen facilities are available which are used for cooking activities and allow us to provide meals. In 2012 and again in 2016, our Bowdon Club was awarded Outstanding in every area by Ofsted. Kids Collective @ Cloverlea is situated in the Art Room next to the Junior playground. This club offers a spacious room with direct free access to the large playing fields outside. In 2016, our Cloverlea Club was again awarded Outstanding in every area by Ofsted. Kids Collective @ Navigation is situated at the rear of the school hall, in the Studio Room, with access from the gate on Hawarden Rd. This club offers a spacious room with direct access to the playground area and kitchen, which is used for cooking activities and allows us to provide meals. In 2011 and again in 2016, our Navigation Club was awarded Outstanding in every area by Ofsted. After School Club until 6pm. Kids Collective @ Heyes Lane offers places to children attending Heyes Lane Primary School and is situated the Infant Hall with a large adjacent outdoor play area. In 2016, our Heyes Lane Club was again awarded Outstanding in every area by Ofsted. Kids Collective @ Well Green is situated the School hall with immediate access to the outdoor playground. The adjacent kitchen facilities allow us to provide breakfast and tea. Kids Collective @ Worthington operates from the Annexe Building on the far right of the school playground. We have our own superb indoor Club Room with direct access to the outdoor sports and play facilities of Worthington Primary School. 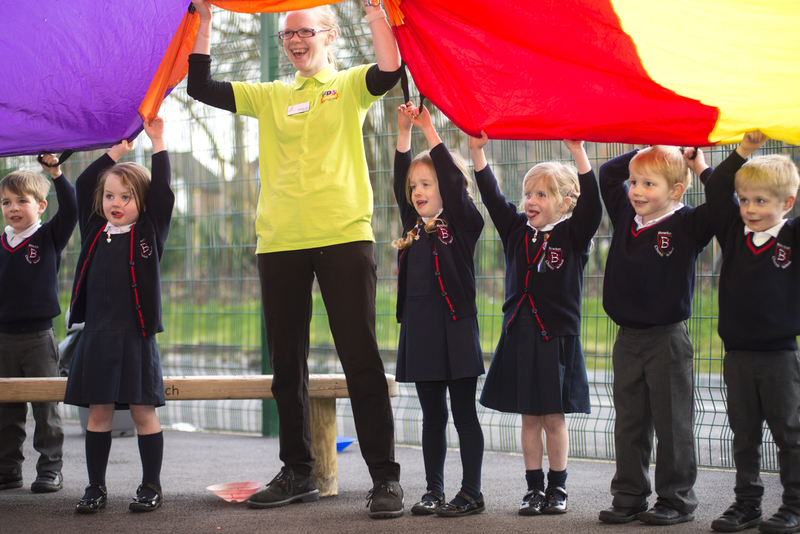 In January 2018, our Worthington Club was awarded Outstanding in every area by Ofsted.